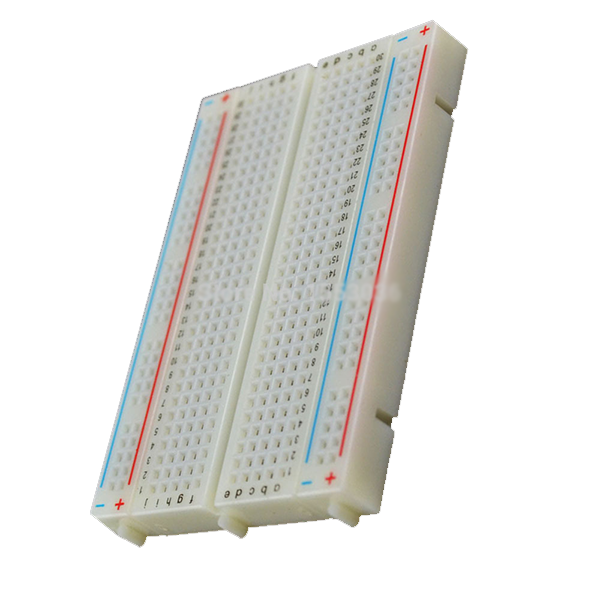 This breadboard is probably the coolest looking regular, solderless breadboard there is. It has 2 power buses, 30 columns, and 10 rows – a total of 400 tie in points. All pins are spaced by a standard 0.1″. 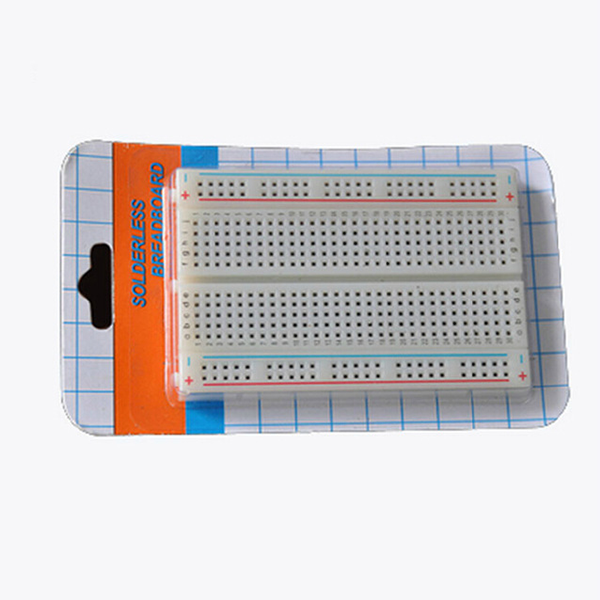 The two sets of five rows are separated by about 0.3″, perfect for straddling a DIP package over. The board accepts wire sizes in the range of 29-20AWG.